Spectrum 2017 - Inter-school Science Fest was a brilliant platform that provided students with myriad opportunities and it was a proud moment when our little scientists came out with flying colours. 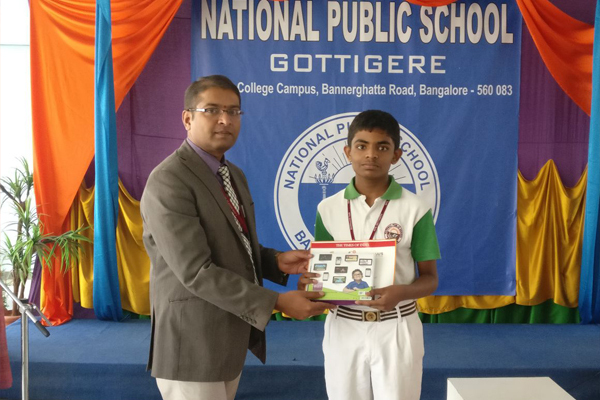 The 1st Prize was awarded to Aditya Pathak & Saisrihan Y (Grade-VI) in Magic Tricks Using Magnets. 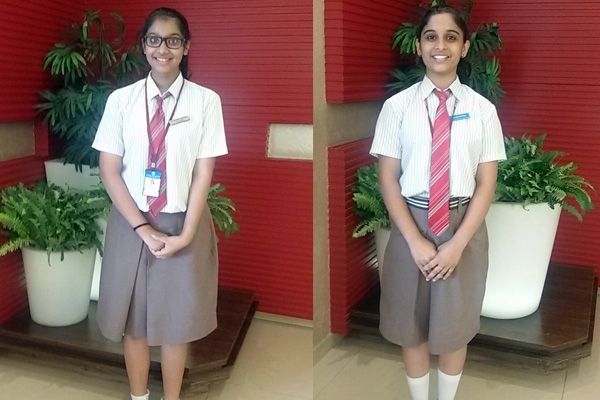 The 1st Position in Model Making was secured by Aayushi M and Sahana Huddar (Grade - IV). 2nd Prize was won in Quiz Competition by Tanush Santosh D & Palak Agarwal (Grade- VII). Inter-school competition organized by BESCOM- Save Electricity Project: Shreya V. K. (Grade – IX), Srishti Gopal (Grade- IX), Yash Dixit (Grade – VIII) made a working model of a Smart Home to save electricity which won them a place among the best 20 schools out of 120 participating schools at a showcase event organised by the Times of India (NIE Group). Shaunak Geetprasad of Grade IX spoke about Vertical Garden and won laurels for the school by winning the Runners-Up Trophy. 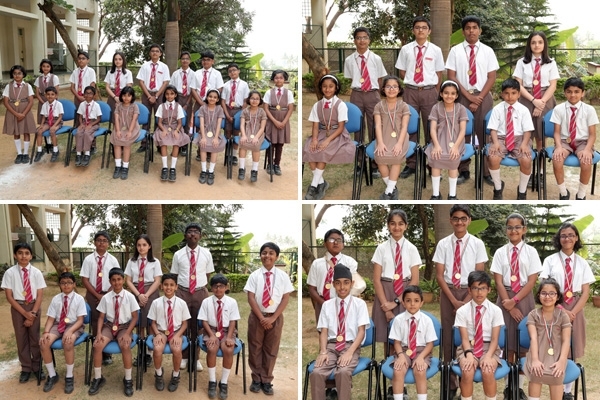 International Olympiad Exams are conducted in school to expose our students to external exams. Appearing for exams at All India Level, State Level or International Level help the students in gaining confidence and learning beyond their syllabus. They help to motivate students to strive for better understanding and to enhance their reasoning, analytical and problem solving skills. 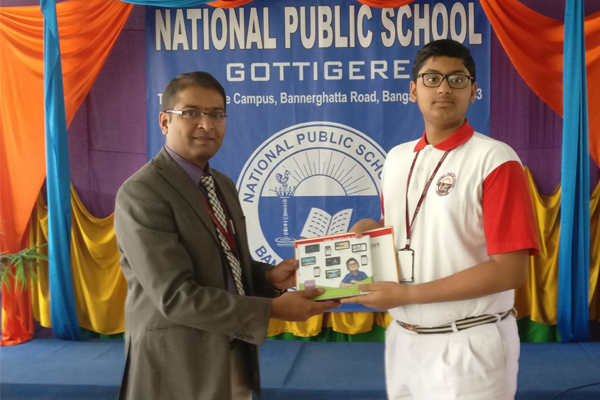 The students at NPS, Gottigere always perform brilliantly at the External Exams and the results are the best among the CBSE School in South Bangalore. 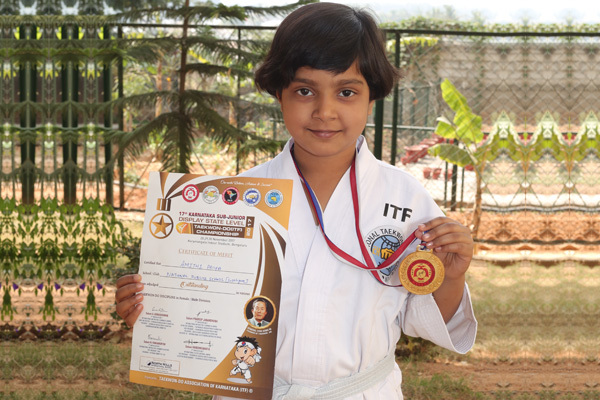 2016- Best Fighter Female (State Level) 3 Gold Medals, 1 Silver Medal. 2017- Best Fighter Female (North Zone) 3 Gold Medals, 1 Silver Medal. 2017- Best Fighter Female (South Zone) 2 Gold Medals, 1 Silver Medal. 2017- Best Fighter Female (National Level) 3 Gold Medals, 1 Bronze Medal. 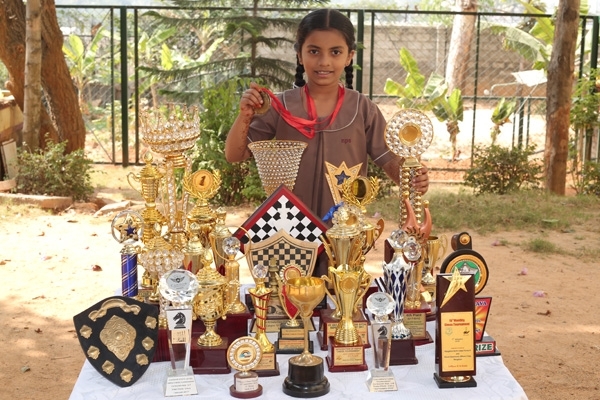 Sriharini – A Grade II student at National Public School, Gottigere is a rising star in the World of Chess. 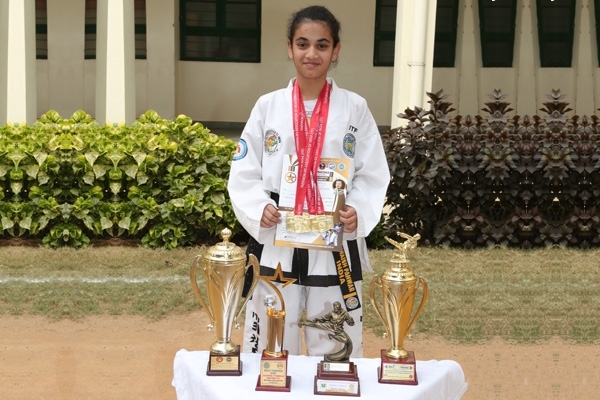 She has taken part in many tournaments and has won about 37 awards till date. She is ranked among the International FIDE rated players with a rating of 1097 in Rapid Chess and ranked 1109 in Standard Chess category. 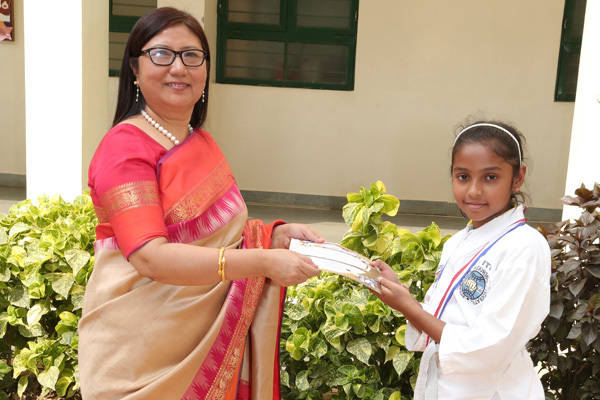 She represented the state of Karnataka in the under 7 category at the National Level Chess Tournament. 6th place in Karnataka under 7 State Girls Chess Tournament. 2nd place in under 7 girls category in All India Open FIDE Tournament. 2th place in Karnataka under 13 girls Chess Tournament. 3th place in Karnataka under 11 girls Chess Tournament. 7th place in the Karnataka state under 9 girls Chess Championship. 2nd place in Karnataka state under 15 girls FIDE Rated Chess Championship. 1st place in Chess Mine Rapid and Blitz Tournament. 1st place under 8 All India Open FIDE Rated Rapid Chess Tournament 2017. The school’s Eco Club named “ Nature Knights” aims at maintaining a green school. It had extensively conducted 14 projects and the students of Grade V to X participated in them. The school received recognition for its quest on scintillating environment issues from Microsoft –‘Create To Inspire School Programme’ and received the Certificate of Environment Excellence for the Best Use of Creative Expressions for Community Outreach, Most E-Waste Collected, Best Use of Sustainability Toolkit and Community Outreach through Social Media. Shruti Thakur of Grade IX was awarded a Merit Certificate for her 'Continued Contribution' to the Times NIE newspaper. Samyukta Raghavan of Grade IX received the ‘Student Star Correspondent’ award at the Times NIE Newsmakers’ Meet. 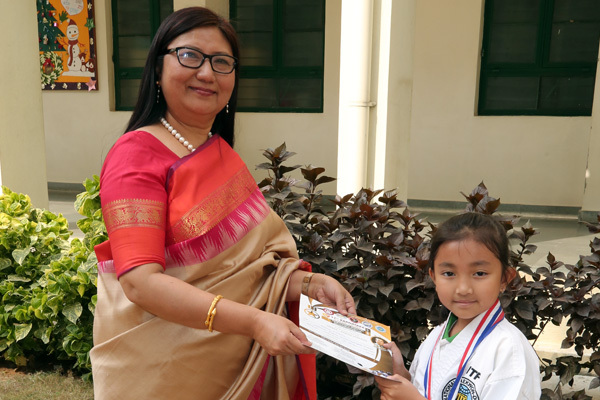 Aarushi Kakkar of Grade IX was the winner of December Month’s Activity conducted by Times NIE. 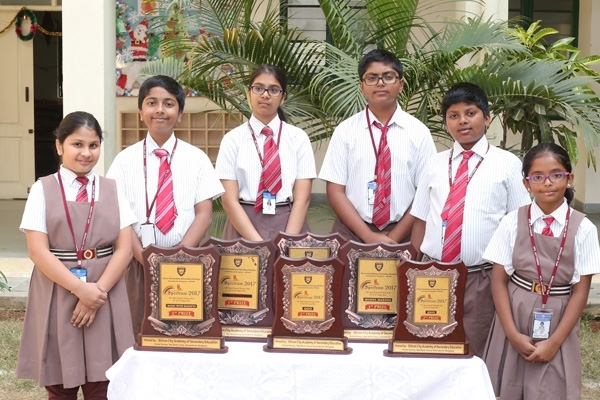 The students of Grades VI to X participated in the 'Your Champion Quotient Scholarship Exam' and their performance in the Quiz was remarkable. 20 students were awarded scholarships. YCQ is the largest institutional quiz contest and aims at testing the students' Intelligence Quotient (IQ), Emotional Quotient (EQ), Creative Quotient (CQ) and Fitness Quotient (FQ) and is designed by an IIT Roorkee alumni.